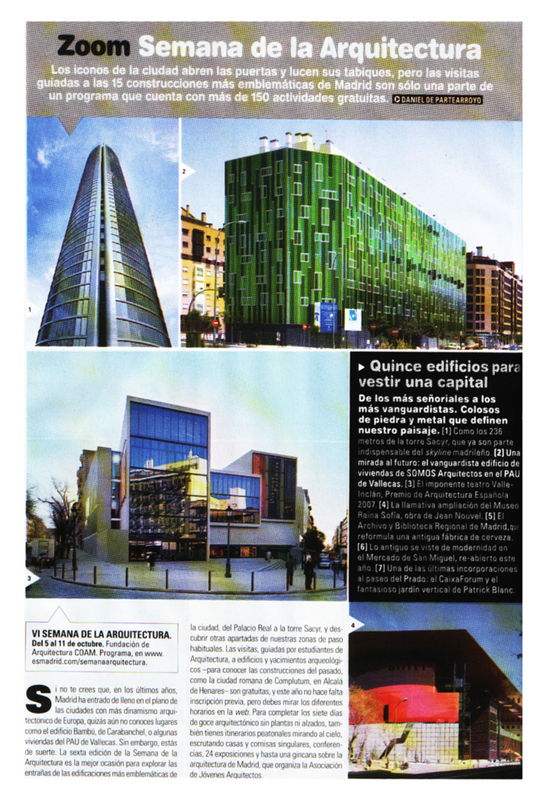 SOMOS ARQUITECTOS PUBLICATIONS: EL PAIS. MADRID IS DECKED OUT WITH 15 NEW BUILDINGS. EL PAIS. MADRID IS DECKED OUT WITH 15 NEW BUILDINGS. SOMOS.arquitectos published in EL PAIS. Between October 5 and 11, Madrid hosts another edition of the traditional Architecture Week. The perfect opportunity to contemplate the city’s most unique constructions from a different perspective, thanks to a vast programme of activities and guided tours with specialists around 15 unique buildings and locations, including 123 social housing in Vallecas 51.